All About Sports Cards: 2010-11 Panini Timeless Treasures Basketball. Another All About Cards Box Break. 2010-11 Panini Timeless Treasures Basketball. Another All About Cards Box Break. 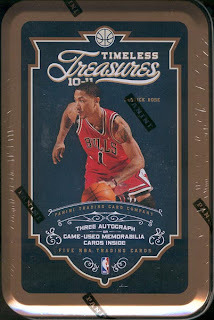 Here is our box break of 10-11 Panini Timeless Treasures Basketball. Don't blink, its a quick break, but a good one.